Wow! Waking Windows 6 Was Rad-io! 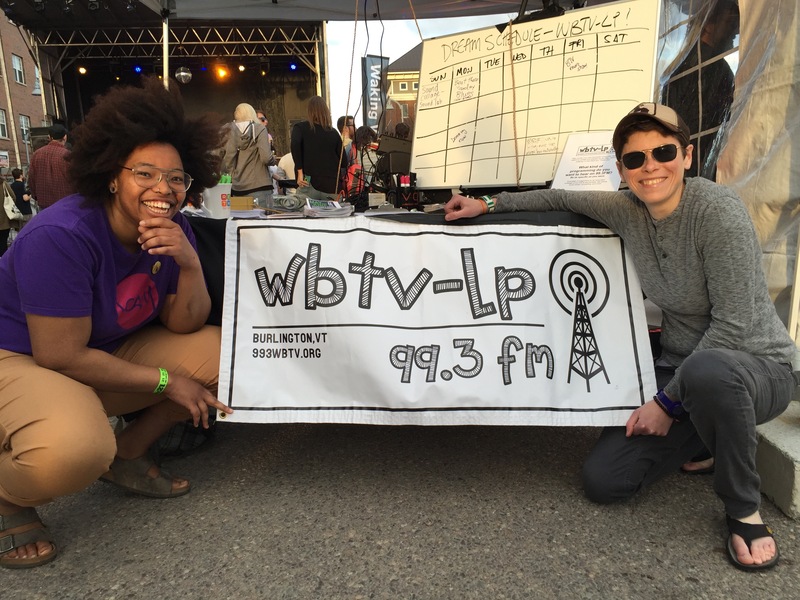 We were so excited to be in the heart of the Waking Windows 6 main stage tabling and DJing as part of the WBTV-LP community outreach for the station this past weekend. We signed up a bunch of new folks for our lists, handed out programmer applications, and gave away a lot – like a lot – of our new stickers! 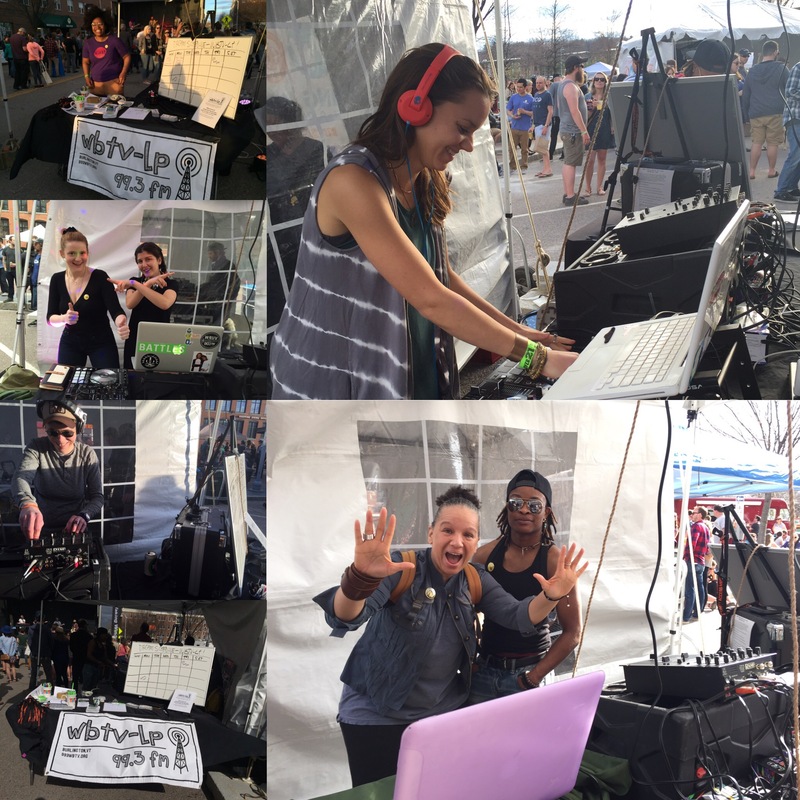 Special thanks to our team that made it happen – Shaunese, Joey, and Tiff and our DJs Hannah, Izzy, Melo, Peaches and Llu for providing the music! Just imagine what we will be able to do next year when we are actually on the air!